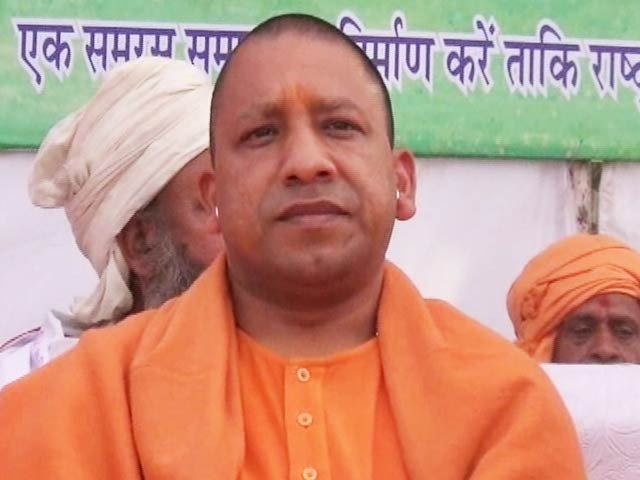 Speculations about the next Chief Minister of India’s most populous state has ended after BJP chose Yogi Adityanath as the next Chief Minister of Uttar Pradesh. Until a few moments back, it was almost considered final in the name of Manoj Sinha, but after a long tensed meeting of MLAs in the state’s capital, Yogi’s name was seen shouting by the BJP supporters.Uttar Pradesh new CM Yogi Adityanath will swear in tomorrow. Also Uttar Pradesh BJP Chief Keshav Prasad Maurya and Dinesh Sharma will be Deputy Chief Minister. After the meeting, the formal announcement is yet to be made by the party, but signals were prominently given for Yogi’s name after Yogi came out of the meeting showing victory sign and the party supporters shouting his name. Yogi Adityanath whose real name is Ajay Singh who is a long time BJP MP from Gorakhpur. Yogi is also the head priest of Gorakhdham temple in Gorakhpur and was the youngest MP in the Lok Sabha since he was at the age of 26. Yogi is MLA since 1998, has the most prominent face of Hindutva wrapped agenda for which the party has an agenda. Yogi is known for his fiery speech for his religious agendas which has made many eyes turned on him. As Yogi is a core Hindu minded activist, some people fear his agenda against other religion especially the Muslim outcast which holds a considerable mass in the state of Uttar Pradesh. Yogi Adityanath was the second most prominent face in the Lok Sabha 2014 election after Amit Shah. Yogi Adityanath will take oath in Lucknow tomorrow whose announced has been done now. Yogi has said that he has kept two major agendas in his mind and that is Growth and Development.